We are a firm of Chartered Accountants and Business Advisers providing the full range of services - excluding audit - for small businesses - sole traders, partnerships and limited companies - and individuals within the Mumbles, Swansea and Gower areas. We also act further afield where our clients have successfully expanded their operations. We provide an individually tailored service on a personal basis and ensure that the client's requirements are paramount. We pride ourselves on not being just 'Chartered Accountants preparing accounts and tax returns'. We primarily act as business advisers providing added value to our clients through advice and assistance to establish new businesses and assist existing businesses to grow and develop. We specialise in developing systems to ensure owners and management are provided with prompt and relevant management information to guide their activities. We are also proactive in seeking to minimise clients' exposure to taxation whilst minimising the risks of attracting an enquiry from H M Revenue & Customs. 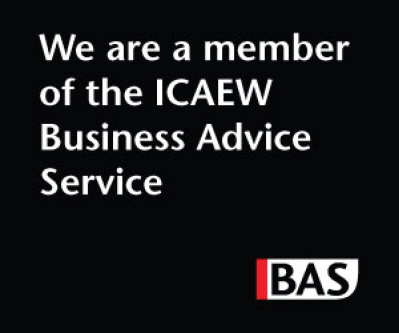 We are supervised by the Institute of Chartered Accountants in England and Wales and are a member of the ICAEW Business Advice Service. The firm is fully covered by professional indemnity insurance and arrangements are in place to ensure continuation of a personal service in the event of accident or illness. Full details of the services available can be obtained by following the links on the left. Initial meetings are fully confidential and free of charge. At such meetings the prospective client's needs are fully examined and a personal, tailor-made, proposal produced with indications of the costs involved. We believe that this firm can offer you something different from the traditional accountant. We aim to offer a complete service to the individual business, be it a sole trader, partnership or limited company. We pride ourselves on providing a personal touch - we will come to see you rather than you coming to see us, thereby saving your time which can then be spent improving your business/finances. We constantly seek ways to improve your position and profitability, with increasing client satisfaction similarly benefiting Business Information Systems. As stated above, the first meeting with a prospective client is free of charge. All our services are provided on the basis of a quotation (produced following an in depth analysis of each client's requirements) which will never be exceeded but may be bettered, thereby providing certainty for your budgets. We constantly strive to identify and advise clients of opportunities to reduce our cost to them, providing the client with savings, and ourselves with a satisfied and profitable client. Fees can be paid in monthly instalments, reducing the impact of annual bills. Fees are quoted in advance of the work on the basis of the value and complexity of the work to be completed so that you know where you stand. Some clients prefer to be charged on an hourly basis, and we can also offer that service. You can call us as much as you need without charge. It can be about anything - tax, business ideas, just someone to use as a sounding board or whatever you need. If you need help and we can provide it on the phone, it's FREE. To identify all the tax planning opportunities of which you are not presently taking advantage. This covers business structure, taxes on trading profits, profit extraction, VAT, employee tax & NI savings, Capital Gains and Inheritance Tax. Accounts are guaranteed for completion within 30 days (provided all required information is provided timeously), phone calls and e-mails are returned within 24 hours max but usually sooner. We understand doing the paperwork can be stressful for many business owners who really just want to get on with running and building their business. So if you wish, we can take all the book-keeping, payroll and other paperwork off you as well as the normal annual accounts and tax work. There is no technical speak from us. We speak to you openly and honestly in your language. We want you to feel comfortable to pick up the phone to us whenever you need, for whatever you want and know you'll get good sound understandable advice. If at any time you are not completely happy with our work please discuss it with us. If we really can't sort the issue for you then don't pay for the part with which you're not happy. Tell us at any time within 30 days of the work and we won't expect payment. The firm is owned and operated by Peter W. Bates, a Fellow of the Institute of Chartered Accountants of over 40 years standing. He has extensive experience dealing with all sizes of business and all industry sectors. Considerable experience has also been gained working in industry, in both manufacturing and the service sector, and this experience provides invaluable assistance to clients. In addition to his professional qualifications - commencing with a first degree from the London School of Economics - Peter also has academic training in computing and information technology allied to practical experience in designing, building, installing and maintaining bespoke management information systems.